There are five different kinds or subspecies of tiger alive in the world today. These tigers are called Siberian, South China, Indochinese, Bengal, and Sumatran. Their Latin name is Panthera tigris. Tigers are an endangered species; only about 3,200 tigers are left in the wild. 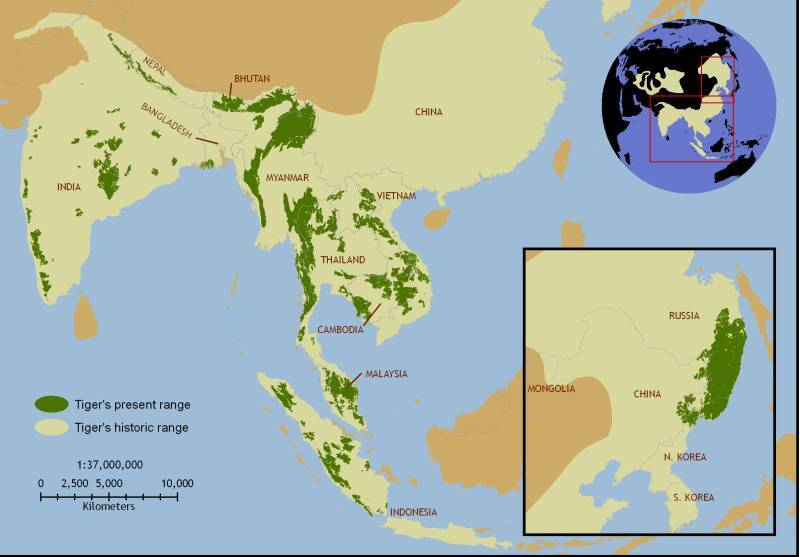 Three tiger subspecies, the Bali, Javan, and Caspian tigers have become extinct in the past 70 years. There are more tigers in captivity in the U.S., over 5,000, than survive in the wild. Poachers are continuing to exterminate the world's remaining Tigers. 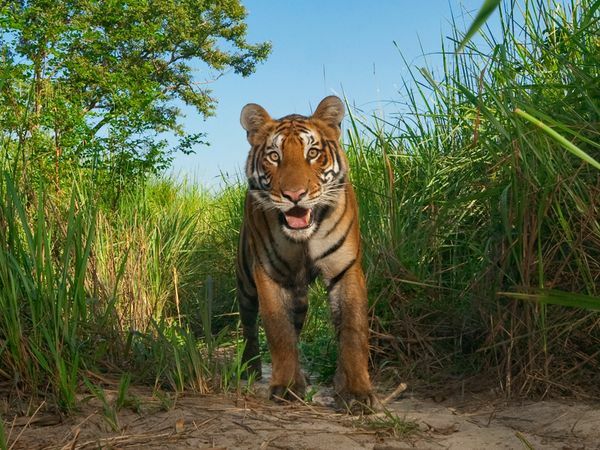 New demand across Southeast Asia for the skins, teeth and claws of tigers is endangering much of the great cats, particularly the Sumatran tiger. 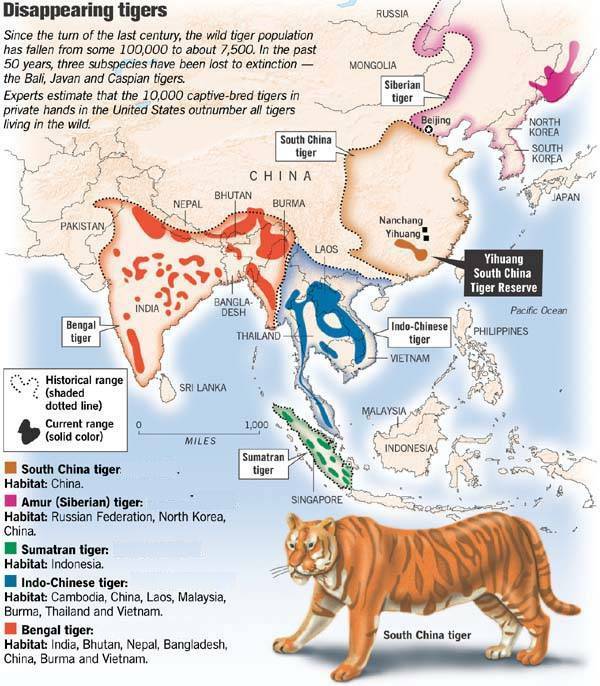 Currently, the demand for Tiger parts is centered in several parts of Asia where there is a strong market for traditional medicines made from items like tiger bone and body parts. Volumes are sizeable and there has been little enforcement action against poachers and traders. There were nearly 100,000 wild tigers at the beginning of the 20th century-Only about 3,200 Tigers currently exist in the wild on the planet Earth. Leopards are suffering the same carnage as well. This information is from The Traffic Report of the World Wildlife Fund. ``This new trend threatens to undermine the progress made in curtailing the use of tiger bone in Chinese medicines,'' said Stuart Chapman, head of the WWF's Wildlife Trade Program. 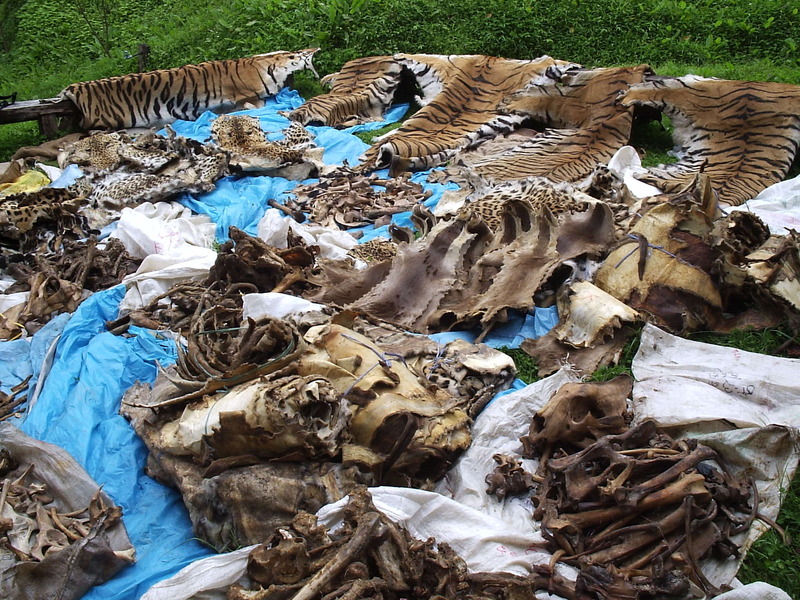 The poachers have a huge demand for Tiger parts from major illegal supplying markets that still operate openly in Southeast Asian countries such as Cambodia, Indonesia, Laos, Myanmar and Vietnam from Indonesia. Even though it is illegal to kill a tiger, wild tigers are still being poached today because their bones, whiskers and other body parts can be sold on the black market for a lot of money. 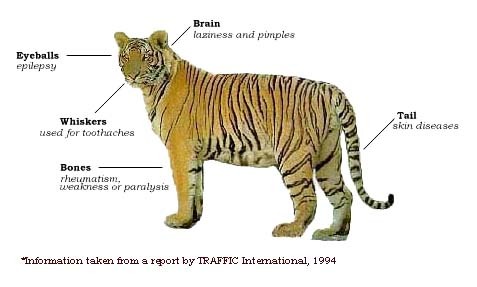 Tiger parts are used in traditional Chinese medicine because some people believe that tiger parts have special powers. Forestry and wildlife departments are too understaffed and under budgeted to be effective against the onslaught of poachers. Also accelerating this extermination is the loss of habitat. 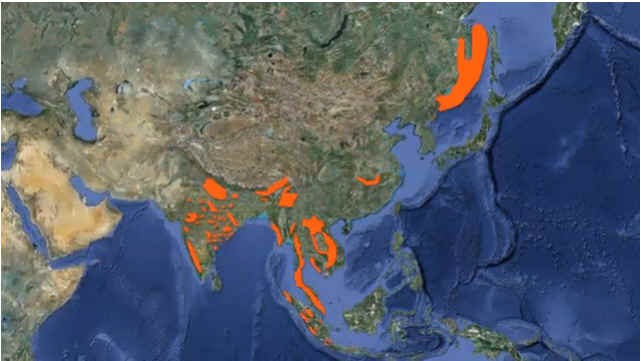 Across all of Asia, once vast forests have fallen for timber or conversion to agriculture. Only small islands of forest surrounded by a growing and relatively poor human population are left. As forest space is reduced, the number of animals left in the forest is also reduced, and tigers cannot find the prey they need to survive. 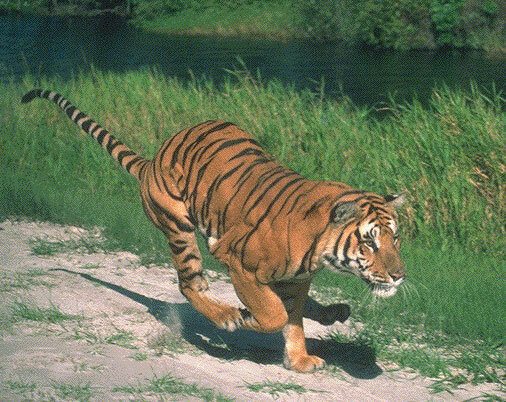 As human populations move farther into the forest, groups of tigers become separated from each other by villages and farms. This means that tigers in one area can no longer mate with tigers in nearby areas. Instead, tigers must breed repeatedly with the same small group of animals. Over time, this inbreeding weakens the gene pool, and tigers are born with birth defects and mutations. 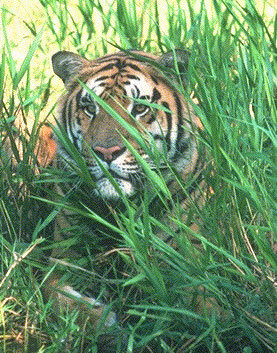 The U.N. Convention on International Trade in Endangered Species (CITES) last year ordered an investigation into the tiger trade and focused on India as well as Japan and China, traditionally the largest markets for tiger products.The CITES team said officials in some of India's state governments routinely concealed the number of tigers being killed and inflated the figures of remaining populations. The Environmental Investigation Agency (EIA) is an international campaigning organisation committed to investigating and exposing environmental crime. There are around 3,200 tigers left in the world and India is home to 60% of this remaining population - but it is estimated that one is killed there every day. Since 1996, EIA has been campaigning to force the Indian government to crack down on poaching, trade and habitat destruction. 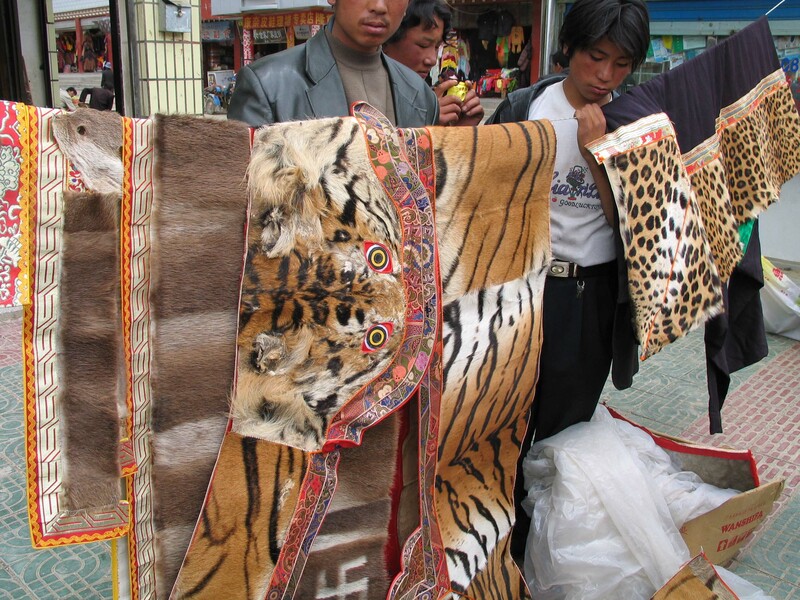 EIA has conducted undercover investigations in consumer countries across Asia, Europe and the USA, to expose the thriving, international illegal trade in tiger products.